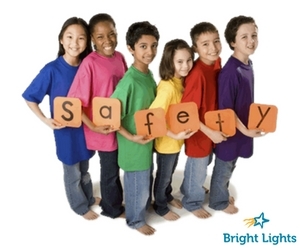 At Bright Lights, we believe that children should enjoy a fun summer filled with engaging learning opportunities in a safe and secure environment. Here are some of the steps we take to make sure all of our sites a safe place for students to learn. A comprehensive safety plan is reviewed each year with the Lincoln Public Schools (LPS) Director of Security and the Bright Lights staff. We follow the LPS Standard Response Protocol for emergency situations and review the process with teachers and volunteers. 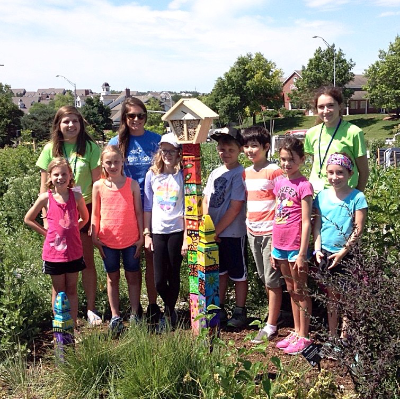 We notify the Lincoln Police Department, Lincoln Fire and Rescue and the Public Safety Director of our summer program dates. Bright Lights staff located at Holmes Elementary and Lux Middle School carry 2-way radios to aid in the communication process. Bright Lights staff have current CPR and first aid training. Teachers must pass a background check before being considered for a summer position. All volunteer Classroom Assistants receive training in safety procedures, and those who are over the age of 19 must also pass a background check. The emergency routes out of the building are reviewed and practiced with the students on the first day of their class. Name tags and color-coded shirts provide another level of safety during the summer sessions, acting as a visual identification between program staff and any visitors in the building or on the playground. All visitors must check-in using a photo ID at the Secure Entrance Monitor (SEM) desk when entering Holmes and Lux. Supervision is provided to students on our buses, in the classroom and hallways, on the playground and at arrival and dismissal. Because of the high volume of traffic at arrival and dismissal times, families are encouraged to ‘Park and Walk’ their students to the designated drop off location on the west side of Holmes and to allow their students to exit vehicles only on the passenger side. Health support is provided at Holmes by a nurse during the three primary program weeks to support students by administering emergency medications if needed. We hope you’ll join us as we help your student and family build both exciting and safe summer memories!